Dieci Restaurant is the house restaurant of Ten Manchester Street Hotel, a stylish boutique hotel located at (yes you guessed it) No. 10 Manchester Street. The location reigns supreme as it’s within walking distance from Marylebone High Street and Oxford Street. It’s a rather small restaurant but comfortably designed with a stylish look that exudes a masculine feel with its dark lines, bold features and plush seating. The restaurant serves an all day menu from breakfast through to dinner as well as afternoon tea. There is also a set lunch menu with two courses for £19.50 and three courses for £22.50. We visited Dieci during a recent bank holiday to try the set menu for what proved to be a rather quiet affair. There were three options per course and we both went for the most tempting starter which was the pumpkin ravioli served with black Umbrian truffle sauce. It was exquisite, with the pasta being perfectly cooked and the filling being smooth and creamy. The rich sauce, elevated by the hints of truffle, matched wonderfully with the pasta. 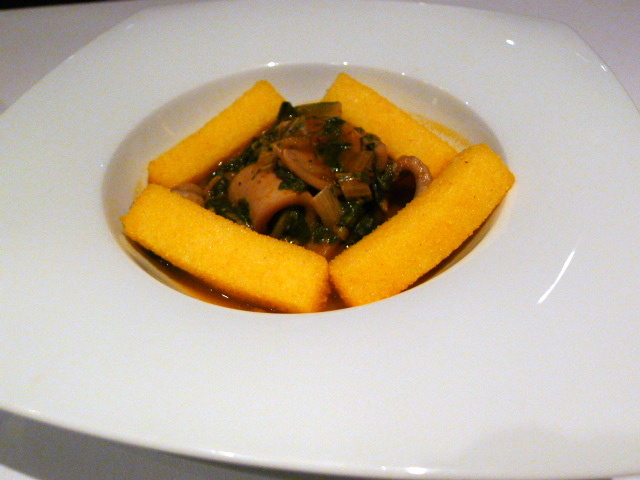 A main of hodge-podge squid served with Swiss chard and fried polenta was a respectable dish if a little dull. The squid was tender but bland, and although the polenta and the chard were well made, this dish needed a little something extra to elevate the dish. 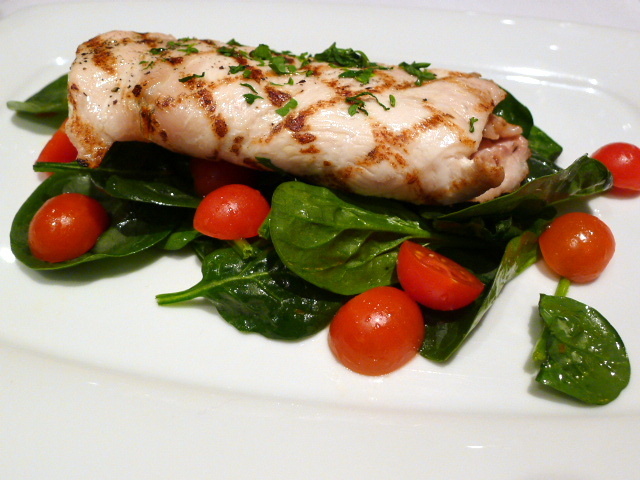 Grilled chicken paillard served with a grumolo and Italian cherry tomato salad was a disappointment however. The chicken was overcooked, resulting in something that was dry and rubbery. The salad also needed a tastier dressing to liven it up. 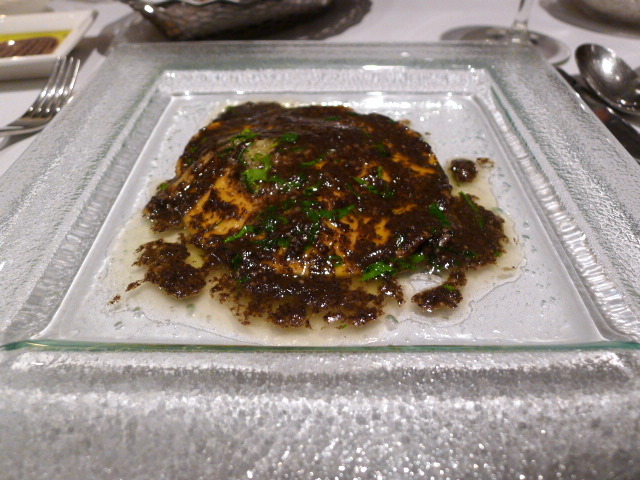 Being a simple grilled chicken dish, it was rather surprising that it had been so badly executed. As it was rather inedible, I swapped the chicken dish for another main from the a la carte menu, a fillet of monkfish with courgettes, sun-dried tomatoes and marjoram (£26). This proved to be a much more appetising plate of food with the monkfish being moist and fleshy and the courgettes being moreish. The sauce was well executed and wonderfully tasty from the rich sweetness of the tomatoes and the herby flavour of the marjoram. It was a yummy plate of food, but a greater variety of veg would have made the dish more interesting. Desserts of “Dieci” homemade tiramisu and “Reciotto della valpolicella” wine marinated strawberries served with Amalfi lemon sorbet were both respectable and satisfying. 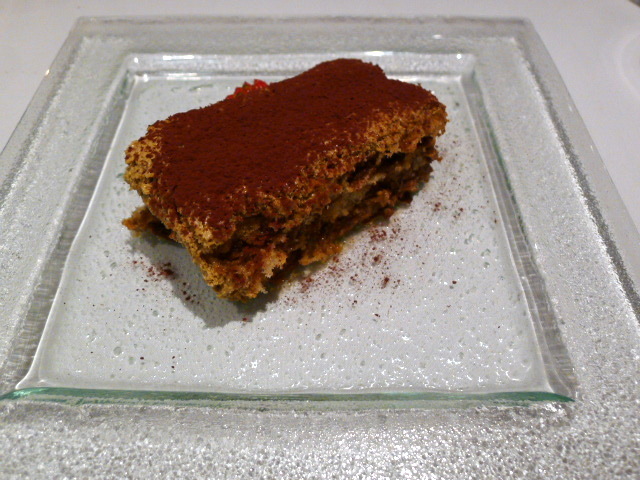 The tiramisu was rich and creamy, although a touch more alcohol would have given it an extra exciting kick. 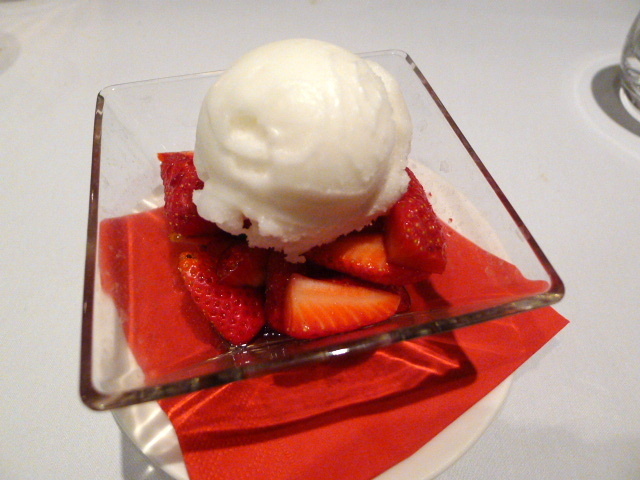 The strawberries were plump and juicy, and although the sorbet was well made, it was a little too sweet for my palate. The Dieci experience was somewhat of a mixed one. We hit incredible highs with our pasta starter which was truly exceptional, but was let down by the poorly prepared chicken dish. As for all our other dishes – they hovered somewhere in between. Ultimately what Dieci demonstrated was it has potential to produce excellence even if the restaurant was inconsistent on the day. That said, the set menu was reasonably good value. The service, like the food, was respectable. 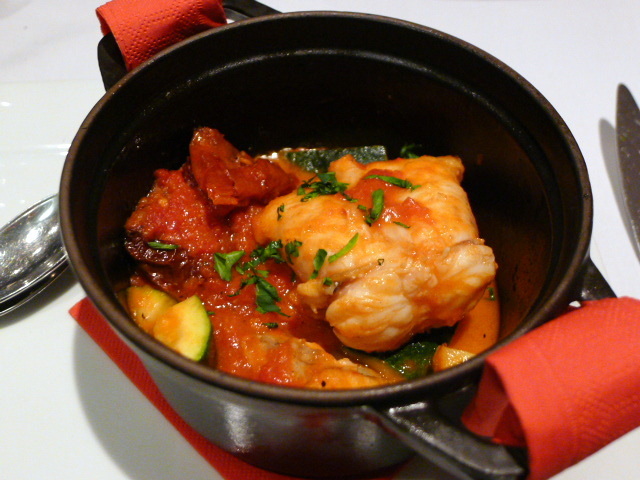 3 courses from the a la carte menu – £36 to £57.